But, it’s not perfect. First, at a price of nearly $2,000, it’s clearly not for everyone. This is the Porsche of smartphones, and not everyone can or will want to pay that much for a phone. Second, yes, at certain angles or in certain light, you can notice a crease in the middle of the large display when the phone is unfolded. In real-world use, however, I found that it completely disappears—it didn't bother me in the least. Finally, yes, it is a bit chunky, especially compared to the sleek, single-screen devices to which many of us have become accustomed. However, it’s not uncomfortable to hold, and most importantly, it will still easily fit into a pants pocket (or nearly anywhere else you store your existing smartphone). The Galaxy Fold completely transforms how we can, and should, think about smartphones. Open up the phone and you’ll immediately recognize that this is an always-connected computer that you can carry in your pocket. More importantly, the Galaxy Fold completely transforms how we can, and should, think about smartphones. Open up the phone and you’ll immediately recognize that this is an always-connected computer that you can carry in your pocket. Practically speaking, it lets you do all the digital activities we've grown attached to in an easier, faster, and profoundly more satisfying way. 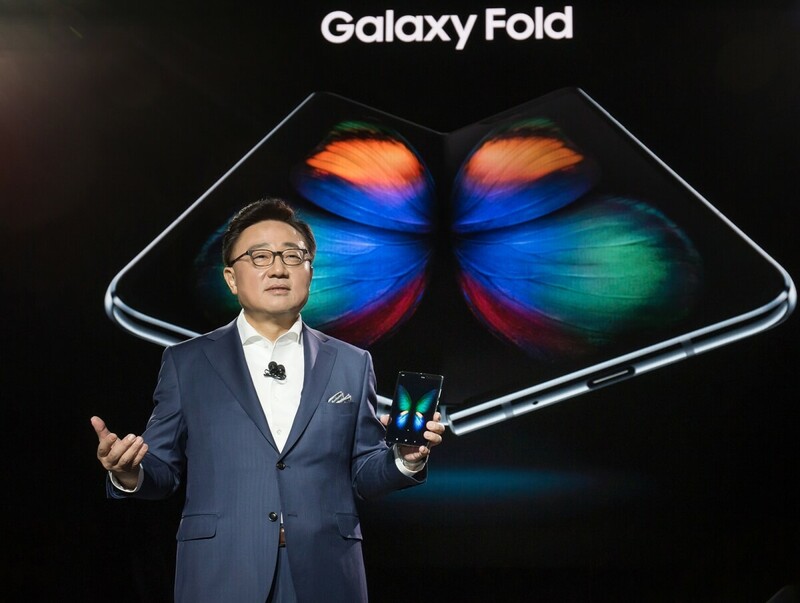 There’s been an enormous amount of speculation and build-up around not just the Galaxy Fold, but the foldable smartphone category in general, with many naysayers suggesting they’re little more than a gimmicky fad. While on the on one hand, I can appreciate the skepticism—we've certainly seen more than our fair share of products that ended being a lot less useful than they initial sounded—I really don’t think that will be the case with Galaxy Fold. Looking back historically, I wouldn't be surprised if the release of foldables is seen as being just about as important as the release of the iPhone. It’s that big of a deal. In fact, looking back historically, I wouldn't be surprised if the release of foldables is seen as being just about as important as the release of the iPhone. It’s that big of a deal. Of course, as with the iPhone, we will undoubtedly see several iterations over time that will make the current Galaxy Fold look old-fashioned itself. But for those of us living in the present and looking to the future, the revolutionary new Galaxy Fold offers a very compelling path forward.